Perfect getaway retreat!! This beautifully decorated, fully furnished and newly renovated townhome is truly your home away from home! It features 9 foot ceilings throughout, to give you an open spacious feel. The living room features a gas fireplace for the odd cool night, BRAND NEW furniture, and a 42' plasma TV. The master bedroom features a new queen size bed and mattress, modern decor, a walk-in closet and a large ensuite that boasts a sky light to bring in a ton of natural light. The spare room also has a trendy new queen size bed and mattress, modern decor and a walk in closet. The large second bathroom is nice and bright from the sky light and has a large linen closet in it. Also, it boasts brand new side by side front load washer and dryer. The dream kitchen is perfect for the chef that enjoys cooking. It features a ton of counter space, white washed maple cabinets and a built-in dishwasher. 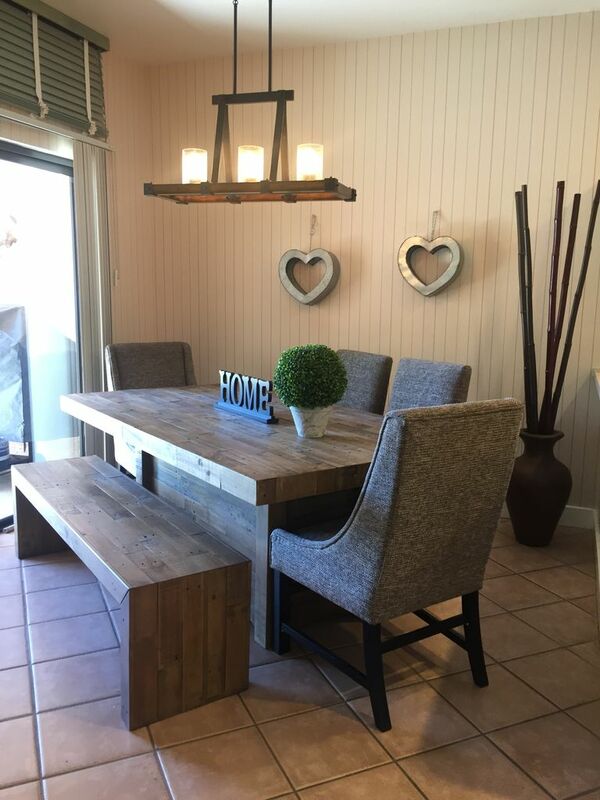 There is a brand new dining set in the nook area that over looks the patio and its amazing view. Utilities Included: This home also comes with a large package of cable channels, Wireless Internet, Phone (for local calls only) and all Utilities are included. I currently live in Canada and bought my townhouse in Green Valley for my vacation home and eventual retirement home. Beautiful View of the Santa Rita Mountains from the Kitchen and the Patio. Good location. No age restriction. Thank you for the wonderful review Liz! It was an absolute pleasure having you and Ross staying at my place in Green Valley. I hope you're enjoying the rest of your vacation! Thanks again for staying with us and we look forward to having you back in the future if you come our way! Lovely, well-appointed town-home. Quiet area. The neighborhood is very walkable with sidewalks on most streets. Less than 5 minutes to grocery store. Conveniently situated so that it is easy to take day trips to Tucson, Tubac, and Madera Canyon. View from the dining room helps get your day off to a great start ! A very nice clean home with all the necessities for living away from home. Welcome to Green Valley, AZ. Peaceful, Quiet, Relaxing, Calm are just a few words to describe this great getaway. Not only great for the Winter snow birds, but a perfect opportunity for a little serenity at any age. Green Valley is situated 20 Miles from Tucson and 60 Miles from the Mexican Boarder. There are 9 golf courses right in Green Valley to enjoy, and great dining and shopping as well.